In early January the political world was stunned when the Iowa caucus, held to chose the Republican candidate for president, was won by a previously-unknown candidate. 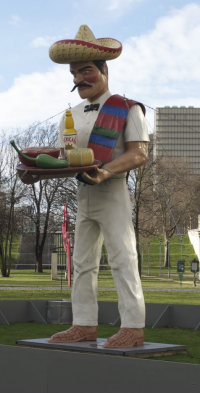 The day after the caucus, it was revealed that the mystery man was, in fact, a ceramic statue of Ronald McDonald, re-painted to look sort of like the late Dennis Hopper. Following this revelation, the statue placed no higher than third in any of the remaining primaries or caucuses before dropping out of the race for the Republican nomination for president in mid-March. We end our year of Monday Morning Art with a digital abstract called “Shapes.” As usual, click it to see a bigger version. Monday Morning Art will contnue into the new year, hopefully with stuff that wasn’t cranked out in half an hour right before bedtime on Christmas night. As we do every Christmas since we made this clip, we bring you Radio Free Charleston Big Shot and Resident Diva, Melanie Larch, performing “Ave Maria,” live from the fifth floor fire escape outside LiveMix Studio. We send glad tidings and our sincere wish that our readers have a happy, joyful and peaceful holiday. Our non-readers can fend for themselves. Well, here we are, December 23, and what is everybody talking about? The new Facebook Timeline, of course. Facebook, in their never-ending quest to extract more marketable personal data from their users is finally foisting upon the public their latest “upgrade”, the Timeline. Today we wrap up the PopCult Gift Guide with a visit to Charleston’s Mecca of Action Fashion and Kar Kulture, The Salvage Yard, located on the second floor of Charleston Town Center.You may know The Salvage Yard as the official haberdashers of Radio Free Charleston. 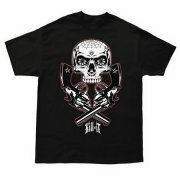 In addition to carrying a really cool line of Kulture apparel by Fatal, King Kerosin, and W.A.R. 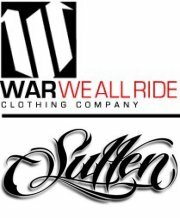 (We All Ride) clothing, The Salvage Yard also gets new designs each week from Sullen Clothing. You’ll also find some cool videos, automotive jewelry, headwear and accessories, as well as an elite collection of fine rockabilly music. You’ll also find some really cool jewelry and art produced by local designers. In fact, the store sports a spiffy new logo created by none other than Mark Wolfe Design. In case you have a Hot Rodder on your Christmas list, you can’t go wrong with The Salvage Yard and if you don’t know exactly what to get, I’m assured that gift certificates are available. The Salvage Yard is open Monday through Saturday from 10 AM to 9 PM and Sunday from 12:30 PM to 6 PM. Check out their website or call them at (304) 419-9273 for more details. This concludes the 2011 PopCult Gift Guide. Check back tomorrow for The PopCulteer. PopCult Gift Guide Day 9: PIZZA! Today the PopCult Gift Guide recommends one of the most loverly and sublime gifts that you can give. We are recommending that you give the gift of pizza. There are several fine local establishments that offer their own unique takes on pizza, God’s anointed food. If your tastes lean toward the gourmet, you can try Lola’s in South Hills or Pies and Pints on Capitol Street. For a traditional New York style pizzeria experience, there’s Graziano’s on Capitol Street (with other locations in Dunbar and South Charleston). Just north of Charleston off the Mink Shoals exit (across Route 119 from Harding’s Family Restaurant), you will find Barone Brothers Pizza, with a different take on the New York style and their own delicious recipe for sauce and dough. Late night pizza fanatics can head to downtown Charleston, where the Slyce Pizza Company is open well into the wee hours. They have yet another distinctive and wonderful recipe and offer a wide array of fresh toppings. Spinach on a pizza with tomato sauce is a PopCult favorite. The wonderful thing about giving pizza as a gift is that you can either round up your friend and take them out for a wonderful social dining experience or, with most of the pizzerias listed, you can treat them to a gift certificate so that they might be able to descend at will and nom to their heart’s desire. You can never go wrong with pizza. 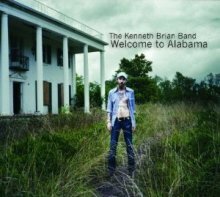 Today’s gift guide pick is “Welcome To Alabama,” the debut album from frequent guests of The Empty Glass and The Boulevard Tavern, The Kenneth Brian Band. This album, available anywhere CDs are sold, features Charleston’s Travis Stephens, Brian’s bandmate, on harmony vocals and rhythm guitar is a primer on the New South, with a modern fusion of blues, outlaw county, and just enough roots-rock energy to warm the hearts of any Southern Man. Produced by the legendary Johnny Sandlin (Allman Bros. Band), the album features an impressive line-up of Southern music-makers including David Hood, Randall Bramblett, Bonnie Bramlett, Jason Isbell, and more. Standout tracks include the slow groove, “Last Call,”which features guest vocals by Lillie Mae Rische, the crunchy rock tune, “Tonight We Ride,” the tender “Cry To The Dark,” and the catchy title track. This CD is the perfect gift for any country music fan, alt-country afficianado or roots-rock enthusiast on your Christmas list. “Welcome To Alabama” is pure Americana gold. In today’s PopCult Gift Guide, we recommend four books published by the West Virginia publishing powerhouse, Woodland Press. You can find Woodland Press books at both local locations of Drug Emporium, both Charleston locations of Books-A-Million, and Taylor Books. If you know of any other locations selling them, feel free to mention them in our comments. 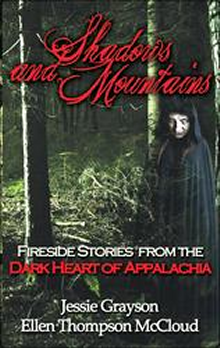 Woodland Press is a West Virginia based company publishing books by local talents and covering themes close to the heart of the Mountain State. But don’t think that this is some sort of vanity press. These are world class literary works. Glimpse beyond the stunning beauty of Appalachia into what hides beneath. Allow these stories to guide you down spooky hollow roads and deep into the mysterious mountains within its dark heart, where monsters, mayhem and madness abound and things are never exactly as they seem. Your loyal PopCult blogger missed his first edition of Dr, Sketchy’s last night I was really looking forward to it, but on arriving home after a fun weekend trip, I found myself exhausted and having to deal with accumulated assignments from three days away from email. 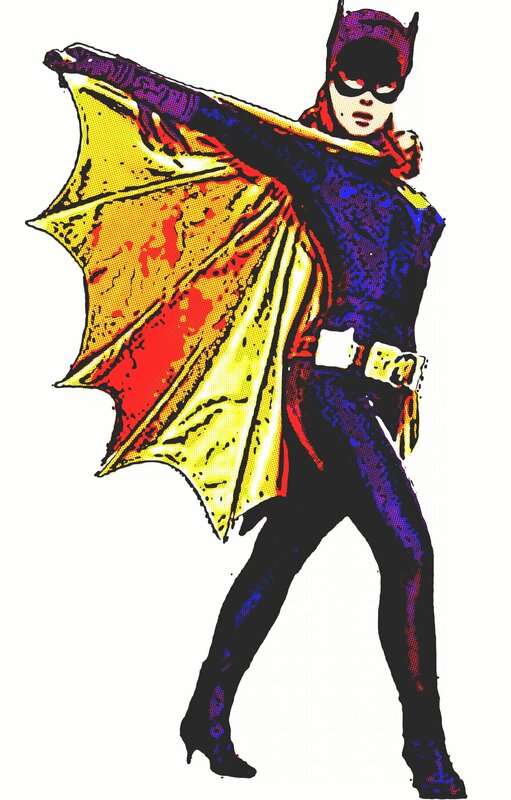 However, last night’s theme was “Gotham City Sirens,” and in that spirit, I present a digitally-assaulted image swiped mercilessly from the website of TV’s Batgirl, Yvonne Craig. Go buy an autographed photo from the pretty lady, won’t you? And click the image to see it larger.